Are you already in the mood for Halloween? 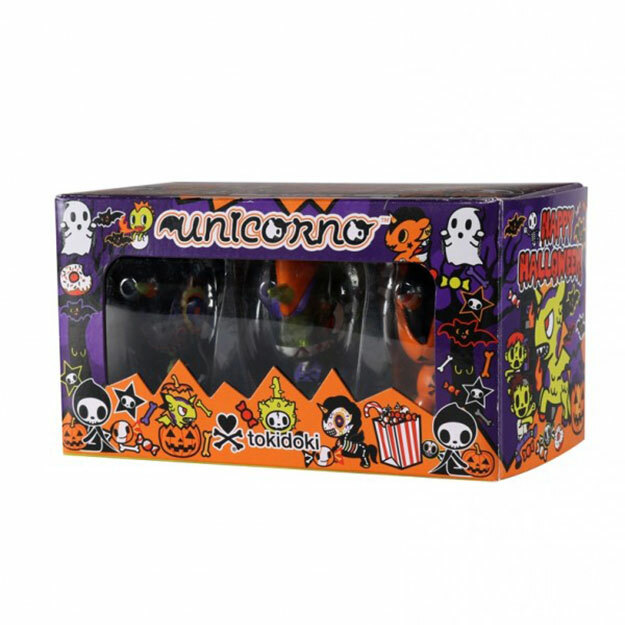 Get a head start on some ghoulish decorating with this special Unicorno Halloween 3-pack from tokidoki! This set includes three designs including a smaller version of the 5-inch Candycorno that came out last year as well as clear versions of Caramelo and Kaijucorno. You can put these Unicorno out on display or leave them in their decorative box. Pick up this 3-pack now at tokidoki and other retailers now for $30 USD each while supplies last!